General public and travelers may inadvertently send potentially dangerous goods items as air cargo consignment on Royal Brunei Airlines. IATA (International Air Transport Association) classified dangerous items into 9 Hazard Classes in the Dangerous Goods Regulation (DGR). Dangerous goods must be properly packed, marked, labeled and declared by appropriately trained, competent and authorized persons. There is a label for each class to convey the nature of the hazard, which must appear on the outside of the package. 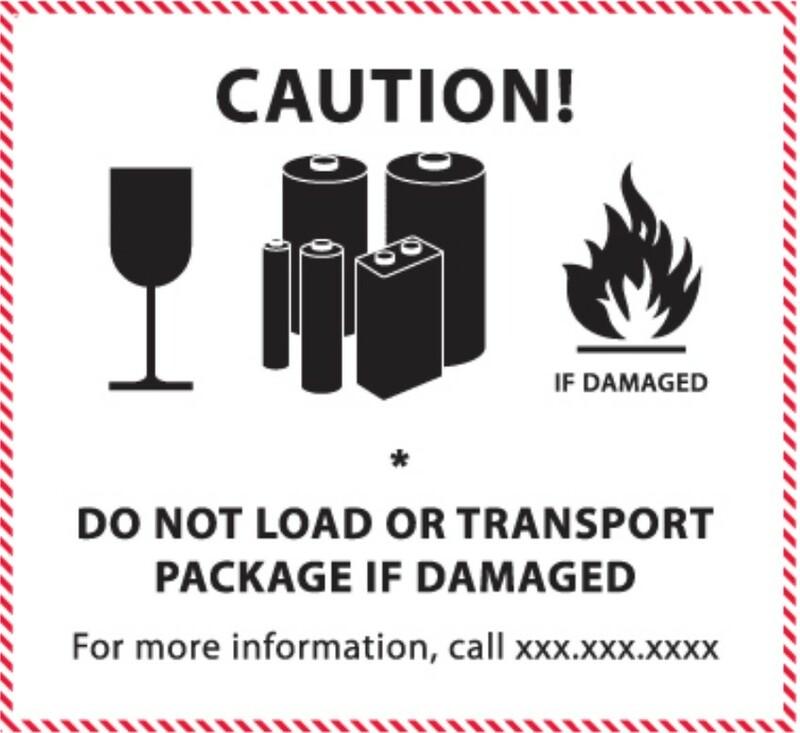 Refer to IATA Dangerous Goods Classification and Hazard Labels for Dangerous Goods below. 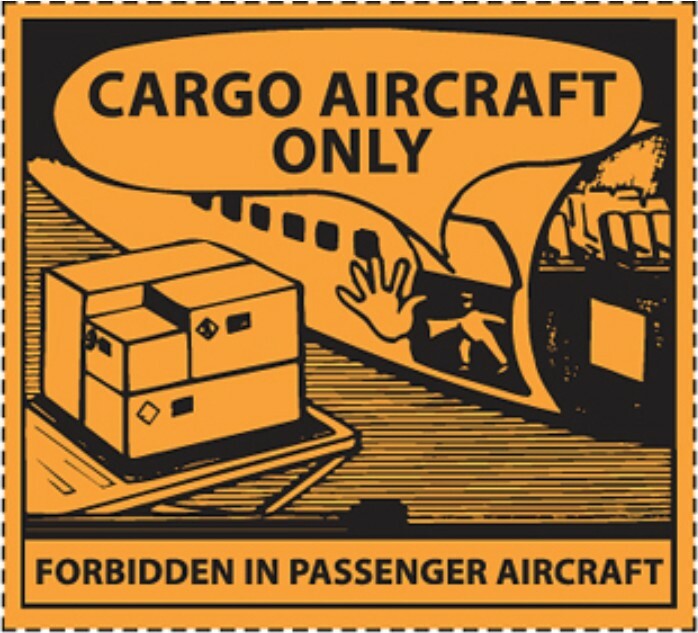 Some dangerous goods are too dangerous to be carried by aircraft, others may be carried on cargo aircraft only and some are acceptable on both cargo and passenger aircraft subjected to limitations and conditions imposed. An obvious alternative is sending by land or sea. Airmail consignment of Equipment Containing Lithium Batteries (ECLB) must be handled and shipped via Designated Operators (DO) approved by their country’s national Civil Aviation Authorities. Obtain specific approval from their national civil aviation authority prior to accepting and transporting ECLB. Guests are advised to check if your local post office is an approved DO prior to sending airmail consignments. You may do so through this link. Lithium batteries installed in equipment (UN3481 or UN3091), such as a mobile phone or a laptop, packed and handled in accordance with IATA DGR requirements, would be acceptable for transportation by air. No more than four cells or two batteries may be mailed in a single package. Note: Checked-in baggage by guests at the check-in counter before flight departure is known as check-in baggage and is NOT considered as an air cargo consignment. Class 1 Explosives  explosive substances, explosive articles, pyrotechnic devices.Includes ammunition, fireworks, detonators, etc. Class 2 Gases- transported as compressed, liquefied, refrigerated liquefied or gas in solution. Include aerosols. Division 2.2  non-flammable, non-toxic gases i.e. 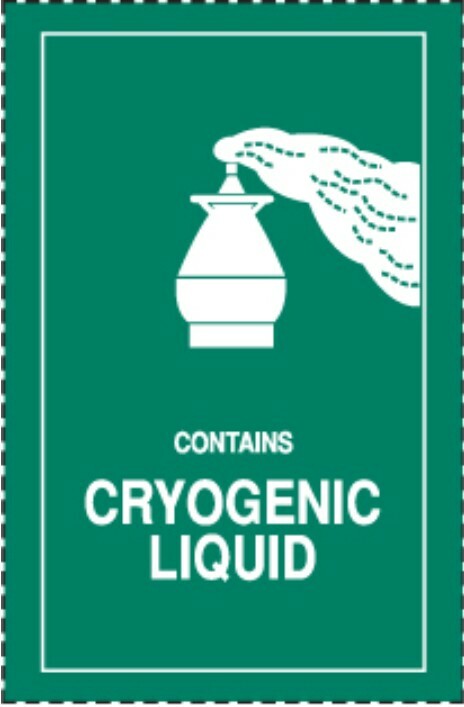 oxygen, liquid nitrogen, compressed air. Division 2.3  toxic gases i.e. chlorine, coal gas. Class 3 Flammable liquids  Examples are Petrol, Alcohol, etc. Class 4 Flammable solids- substances liable to spontaneous combustion and substances, which, in contact with water, emit flammable gases. Division 4.1  flammable solids such as hexamine solid fuel tablets for camping stoves, self-reactive substances and desensitized explosives. Division 4.2  substances liable to spontaneous combustion under the normal conditions encountered in air transport  such as Phosphorus, which burns by itself when exposed to air. Class 4.3  substances, which in contact with water emit flammable gases. i.e. “Dangerous when wet”. Examples are sodium, zinc particles etc. Class 5.1 Oxidising substances- substances which in themselves are not necessarily combustible, but which by yielding oxygen may cause or contribute to the combustion of other material. Example is generators, which produce oxygen by chemical reaction. Class 5.2 Organic peroxides  these are thermally unstable substance which may undergo heat generating, self accelerating decomposition  which may be explosive, rapid, sensitive to impact or friction or react dangerously with other substances. Example is Hydrogen Peroxide. Class 6.1 Toxic substances- those substances, which are liable to cause death or injury if swallowed, inhaled or absorbed through the skin. Examples are pesticides and poisons. Class 6.2 Infectious substances  those known to contain, or reasonably expected to contain, pathogens. Class 8 Corrosives  susbtances which, in the event of leakage, can cause severe damage by chemical action when in contact with living tissue or materially damage other freight, containers or the aircraft. Examples are mercury, battery acids, etc. 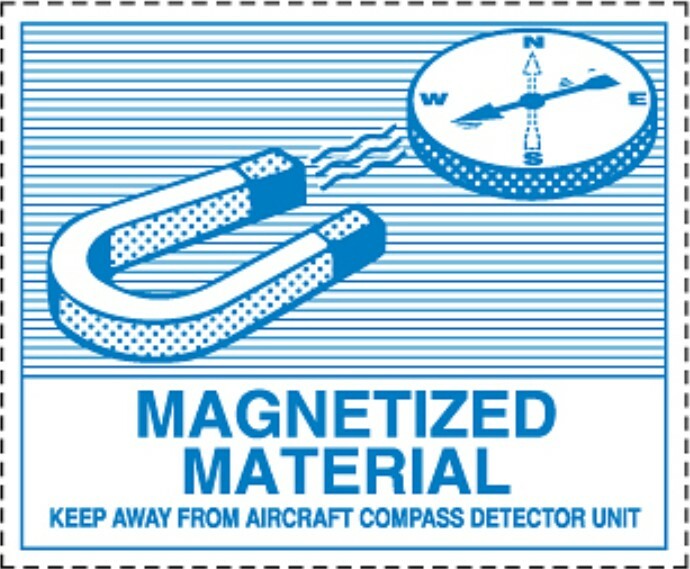 Class 9 Miscellaneous  includes lithium batteries, magnetic articles which can have an impact on the aircraft’s compass, Internal combustion engines, dry ice (solid carbon dioxide) etc. 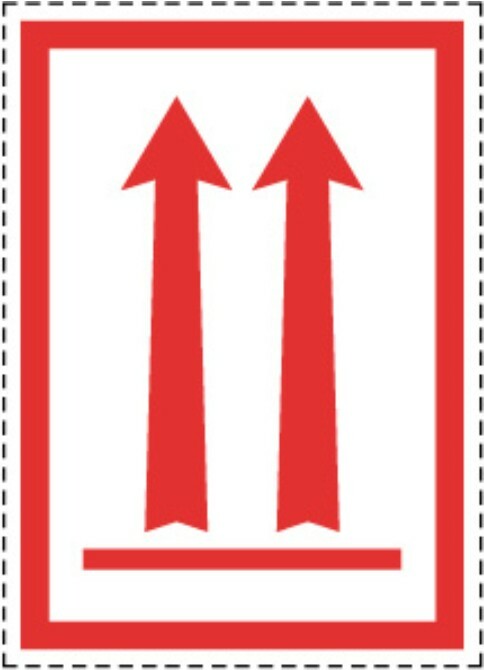 These labels below may be used in conjunction with the above labels.